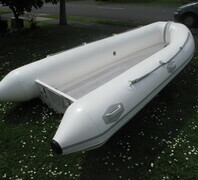 END OF SEASON SPECIAL - RIB COVERS - BEST PRICING - PROTECT YOUR INVESTMENT - CALL ME FOR PRICING - 027 277 9467. 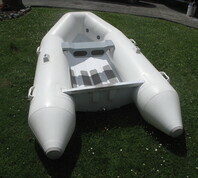 We build and repair all types of Inflatable Boats : all manufacturers and all models : using New Zealand made materials and top quality craftmanship. We always heat weld and never glue stick and so our boats and repairs will outlast our competitors. 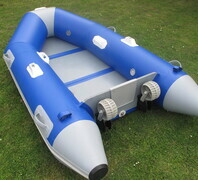 We can heat weld new handles, grab lines, D - rings, davits, anchor holders, oarlock boards, safety valves, bracket holders, T- boards and motor pads and rope holders to your current inflatable boat. We have been in business for over a quarter of a decade specialising in one single thing : inflatable boat building, repairs and retubes. We don't do anything else and that makes our staff experts in the field (we are the only team in New Zealand capable of building Thundercats). We are trusted by some of the big names out there, so, if you have a damaged inflatable boat that needs repairing or are in the market for a new inflatable boat, then Dolphin Inflatables is the right choice. Over the years, we have fixed pretty much every single inflatable boat : Thundercats, Terminator, Aquapro, Aquamaster, Ocean, South Pacific, Aarkron, Atomix, Nauilus, Strata, Explorer, IBR Inflatables, Zodiac, Avon, AB Inflatables, Lancer, Naiad, Family Boats and Brig Rigid. 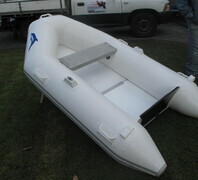 We guarantee that we can fix your inflatable boat too.